Who DOESN’T love bolognese!? 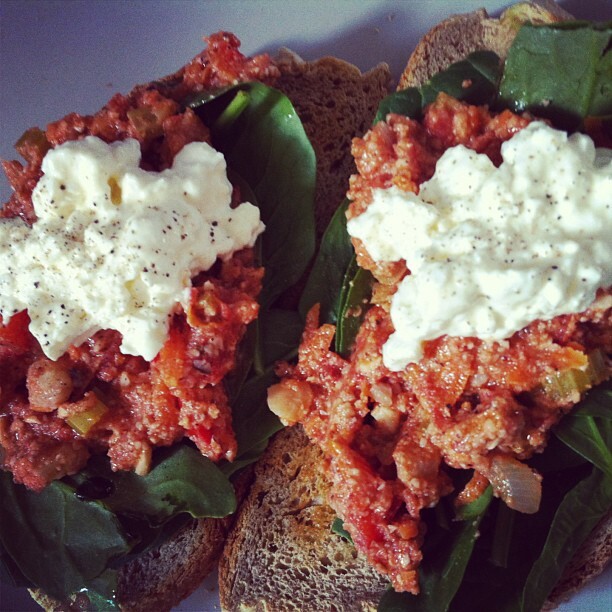 This recipe is an awesome substitute for all you meat free lovers out there. It’s simple, uses loads of fresh ingredients, keeps you full for ages and can be easily reheated. Give it a go! I love hearing your feedback. mixture of fresh (or dried) basil, oregano and thyme. Place garlic and onions in a pan and fry in oil of your choice (I used rice bran for this recipe). Serve with pasta, zucchini pasta, on fresh bread (as shown above) or however you please!